Can Herbal Remedies Help High Cholesterol? Momordica charantia, more commonly known as bitter melon, is a fruit native to tropical regions of the world, including South America and East Africa. Used medicinally, Momordica charantia may help regulate blood sugar levels in people with diabetes. However, additional research is needed to support this purported health benefit of bitter melon. 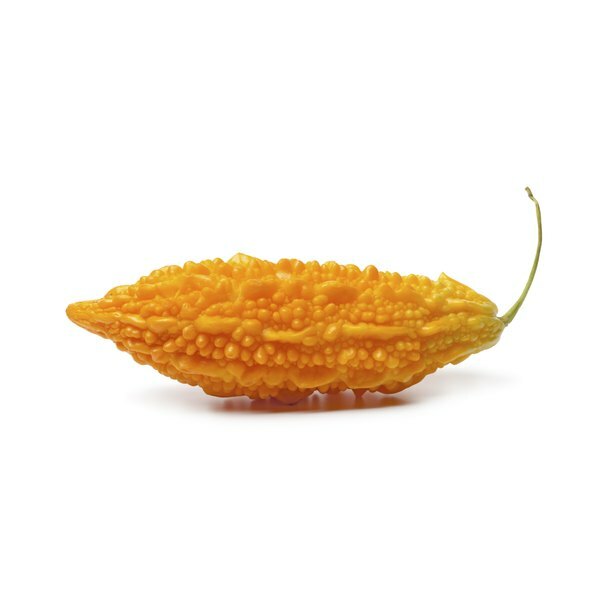 Discuss the side effects of Momordica charantia with your physician before consuming this fruit or related supplements. Momordica charantia may irritate your digestive tract, particularly if you consume too much bitter melon juice. For this reason, you may experience stomach discomfort, abdominal pain or diarrhea. Recurrent bouts of diarrhea may increase your risk of becoming dehydrated because of the loss of fluid and electrolytes. Consult your doctor if diarrhea or stomach pain continues for more than two to three days. The primary effect of bitter melon is reduced blood sugar levels. This side effect, which may be potentially beneficial for people with uncontrolled diabetes, may be problematic for people taking diabetes drugs or with normal or low blood sugar levels. Reduced blood sugar, also called hypoglycemia, may cause dizziness, headache, irritability, hunger, sweating, shakiness, confusion and anxiety. Seek additional care from your doctor if you experience hypoglycemia symptoms after consuming Momordica charantia. Ingesting large amounts of Momordica charantia seeds may result in toxicity. Severe toxicity side effects include fever and coma and require prompt medical attention. In addition, liver toxicity, also called hepatotoxicity, may also occur in people taking Momordica charantia. The covering on bitter melon seeds, called red arils, is also toxic to children. Improper consumption of these seed coverings may cause diarrhea, vomiting or, in severe cases, death. Certain people should not take Momordica charantia. Women who are pregnant or nursing should avoid bitter melon, as this natural supplement may induce vaginal bleeding, abortion or premature contractions. In addition, people who have a condition called glucose-6-phosphate dehydrogenase deficiency, also known as G6PD, should not take this supplement. Momordica charantia seeds contain vicine, a substance that people with G6PD can't digest. Consequently, improper use of Momordica charantia by people with G6PD may worsen symptoms associated with this condition.